The sports media’s football coverage in August has focused almost exclusively on the NFL to the exclusion of the fast-approaching college season. This is a small attempt to balance that coverage by taking a concluding look at a story that started to gain steam during the 2010 college football season. On Saturday, September 3rd, the Ole Miss football team will take the field in Oxford with something they haven’t had since 2003: a mascot. The school’s teams will continue to be known as the Rebels, but after officially retiring Colonel Reb in ’03, the Rebel Black Bear now will represent Ole Miss squads on the field. As the video suggested, copyright law of some variety formally took Admiral Ackbar out of the running, he surely would have made one of the most interesting and creative mascots in college football. Geekery aside, it also would have been a great marketing opportunity for George Lucas & co. This entry was posted in ALDLAND and tagged dixie, lsu, mascots, ole miss, rebels, sec by AD. Bookmark the permalink. If the above is the “final chapter,” then Charles P. Pierce has written an epilogue worth your time: http://www.grantland.com/story/_/id/7264786/the-tailgate-modern-america. He is a good writer. JACKSON — An effort to enshrine an Old South university mascot into the Mississippi Constitution is a lost cause — at least for now. Arthur Randallson directs the Colonel Reb Political Action Committee, a group pushing a ballot initiative to make the University of Mississippi revive a mascot it retired in 2003. 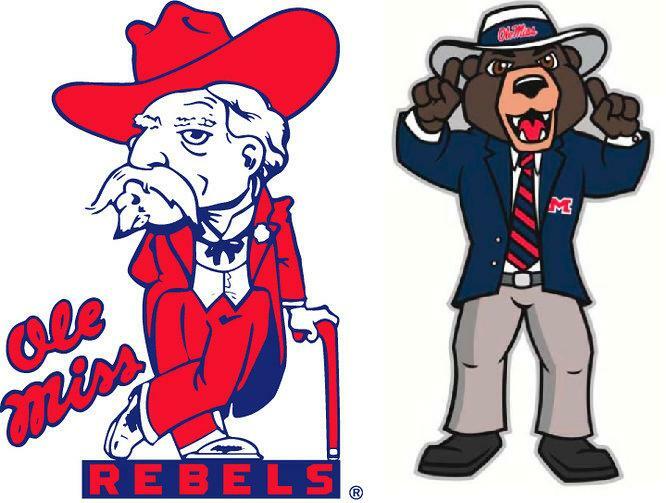 Ole Miss shelved Colonel Reb amid concerns the goateed old man resembled a plantation owner. Teams are still called Rebels, but students voted in 2010 for a black bear on-field mascot. Randallson tells The Associated Press on Friday he won’t meet the July 9 deadline to gather signatures to put the Colonel Reb amendment on the statewide ballot. At least 89,285 signatures are needed, and Randallson says he has about 41,000. He says he might try again in the future. people need to learn to leave things the way they were and stop changing things. PC BS! I’m sick of it! Leave Col. Reb alone, and ‘can the bear’ !!! …Maybe everyone should scream racism because of the “black” bear ??? Politically Correct Whiners and Reverse Racism, if that what people wanna call it, and that’s just what it is….is past the point of sickening. If Ole Miss caves …. Alcorn should have to change. Let’s strip them down. American Indian in African garb ??? ….does not make any sense to me. KEEP OLE MISS COLONEL REB ~ HOTTY TODDY !!! !